Filed to: Let there be cake!Filed to: Let there be cake! Today I'm making cake! Why? 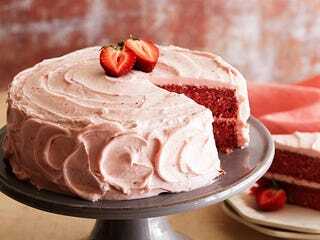 Because it's a good day for cake, and I've been craving strawberry cake for like a solid month now. It's from a box, and the frosting is store-bought as well, but I don't care. It's cake! So anyway, tell me what the good news is on this fine fall Friday, friends! (Why yes, I do love alliteration).